As you begin diving into the world of Merino wool apparel you will quickly see that items are described by the weight of the product. Typically this is discussed as the fabrics micron weight. I actually very casually dropped the “micron” terminology in my last post “The Australian Wool Market“. 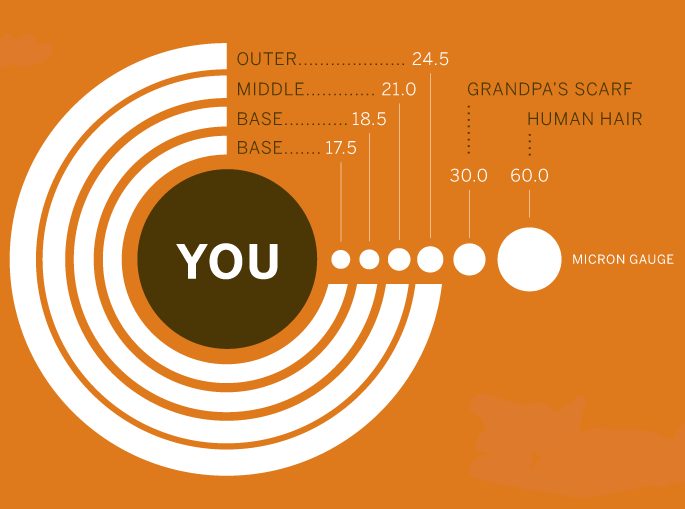 Anyone with a little knowledge understands that a micron is a measured unit of length. 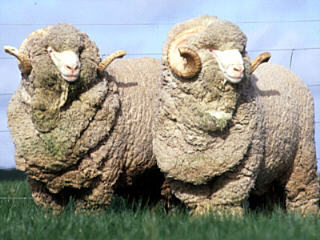 But, the origins of using the terminology in merino fabrics began out of a necessity to develop a wool grading system. The number of microns, i.e., the measurement of the wool fiber in thousandths of a millimeter, is now used to indicate quality. Fine wool is between 17 and 23 microns. When wool is perceived as itchy, the reason is that there are coarse fibers in the wool, which do not yield to the skin but rather stick in. The finer the fibers, the softer the feel of the textiles. Coarse fibers in excess of 28 microns may itch. For most apparel that is designed for athletic pursuits you will see a micron range of 17-20 or so. Other companies choose to describe there garments by the weight of the wool. To each their own. Finally, one other thing to make mention of is that of the world’s finest wool. The world’s finest merino wool was produced initially in 2004 at 11.8 microns and then later upstaged in 2008 with a wool ranking in at 11.4 microns. The company who produced it received a little less than $250K for a full bale. Wow! I guess we won’t be seeing a 11.4 micron base layer anytime soon! Wow, who knew that wool was such big business. I mean, I love the merino, but had know idea how important the wool industry is to the Australian economy. As my research on merino is progressing I found an interesting site dedicated to the Australian wool industry and inside it has tons of information on how the wool market is progressing and an outlook for 2011. I will post a link at the end of the page, but here are some fascinating stats. 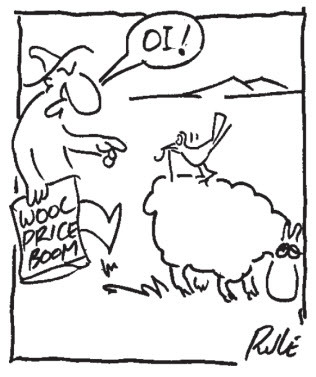 One Australian new site posted the following headline, “Golden era ahead as wool prices start to soar”. Apparently part of the issue is related to long term drought and other weather related issues in Australian that are causing potential long term shortages of wool, which in turn is causing Chinese buyers to scoop up wool in larger quantities. The fabric types that have seen the largest jump are the fines micron fibers such as the 18-23 micron range which according to one analyst has hit the highest price in terms of US dollars in over 60 years!!! Yikes….I know this is a great thing for the wool farms and the Australian economy, but I wonder what this means for the end consumer? Should we be stocking up on our favorite brands like Smartwool, Icebreaker, I/O Bio? If you are interested in more info on the Australian wool market I encourage you to head over to Wool.com to learn more. 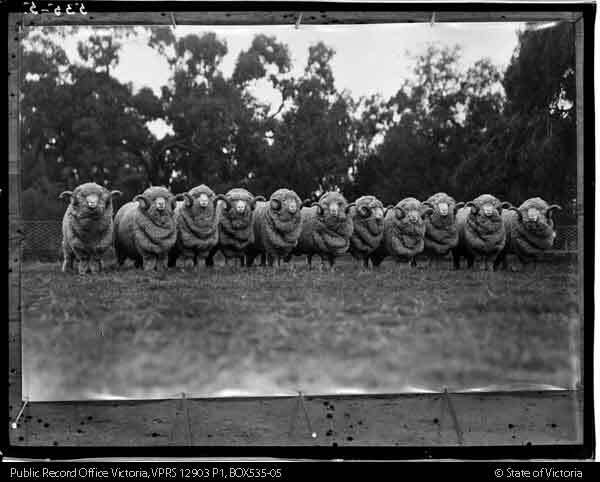 Today I want to spend a few minutes discussing the history of the wool industry. As a quick caveat, I am not a historian, nor is this an attempt for a full and accurate history of wool. I just wanted to share some interesting information regarding the fabric that I love so much. In my opinion, anything you feel strongly for you need to have a good understanding of its origins, and unlike synthetic materials, there is a very long history. If you are interested in more detailed history of wool and the merino breed there are a number of great resources, but with most things these days Wikipedia is a great place to start. Although the wool fiber has been in use since the domestication of sheep, some of the oldest known wool textiles date back to 1500BCE. The term merino is widely used in the textile industries with varied meanings. Originally it denoted the wool of Merino sheep reared in Spain, but due to the equivalent quality of Australian and New Zealand wools, the term now has broader use. In the dress-goods and knitting trades, the term “Merino” means an article containing Merino wool. Today, Australia and New Zealand are two of the largest producers of wool in general and more importantly, our favorite, merino wool. Another important event in the industry was the introduction of Superwash wool. Washable wool technology first appeared in the early 1970s to produce wool that has been specially treated so that it is machine washable and may be tumble-dried. This wool is produced using an acid bath that removes the “scales” from the fiber, or by coating the fiber with a polymer that prevents the scales from attaching to each other and causing shrinkage. This process results in a fiber that holds longevity and durability over synthetic materials, while retaining its shape. This is my first post on the All Things Merino blog. I am new to the blogging world so please forgive the simplicity. My initial goals of the blog are to begin by posting my current “merino” inventory as well as discussing the amazing features of merino wool, provide some history and background on such an amazing fabric. I will also try to post when I find a great deal on a merino product and possibly throw in some product reviews. If you share my obsession with merino wool give me a shout out!